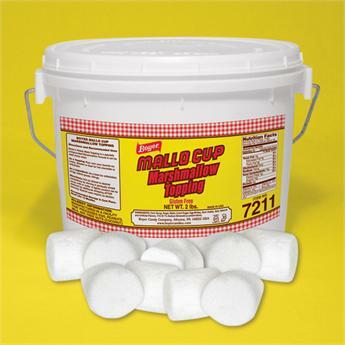 Home > View All Products > Mallo Fluff Baking Ingredient - 2 lbs. Marshmallow fluff is perfect for a delicious sandwich, ice cream sundaes, and other baking purposes! Our marshmallow fluff is so good that we can’t take responsibility if you decide to eat the whole container with a spoon. If you love the creamy center of Mallo Cups, you’ll love our Mallo Fluff Baking Ingredient. When it comes to deliciousness, choose Boyer Candy Company. We take pride in offering the very best candy that is happily made in the USA.